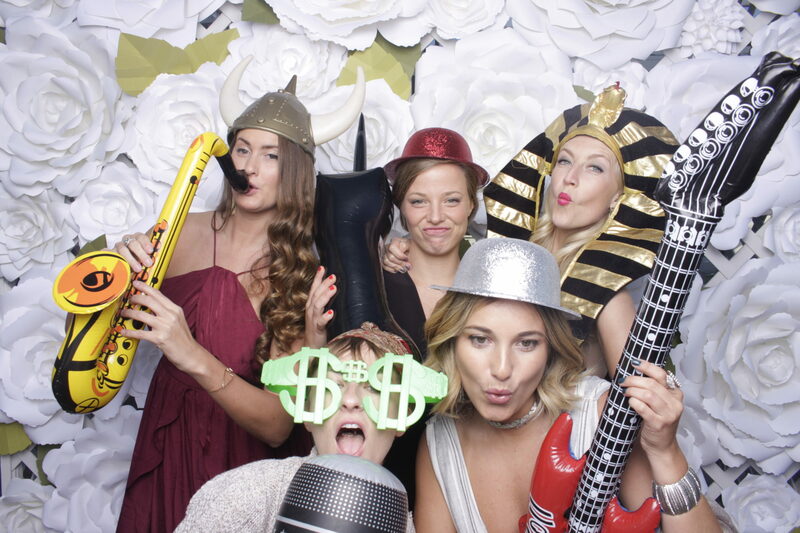 Photo booths are quite the thing at weddings these days. If done well they can be a genuine highlight of the day… if done badly they can be a disappointing waste of time and money! So how do you get it right? Closed booths are great for passport photos but not great for weddings. Open booths mean that everyone is in on the fun, lots of people can fit in one shot, positioning at your venue is easier and lighting tends to be a lot better too. Plus with an open booth, everyone at the reception will be able to see the shenanigans and can rush over to enjoy the fun. Beware of the photo bomb! Brides and grooms, get involved! 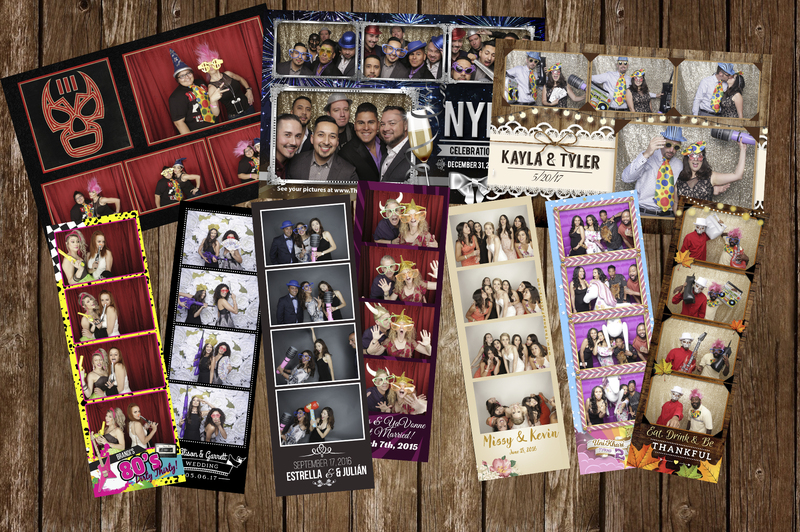 Photos with the happy couple are like gold on the big day, and the booth is an easy way to create lots of snaps of you with all your guests. 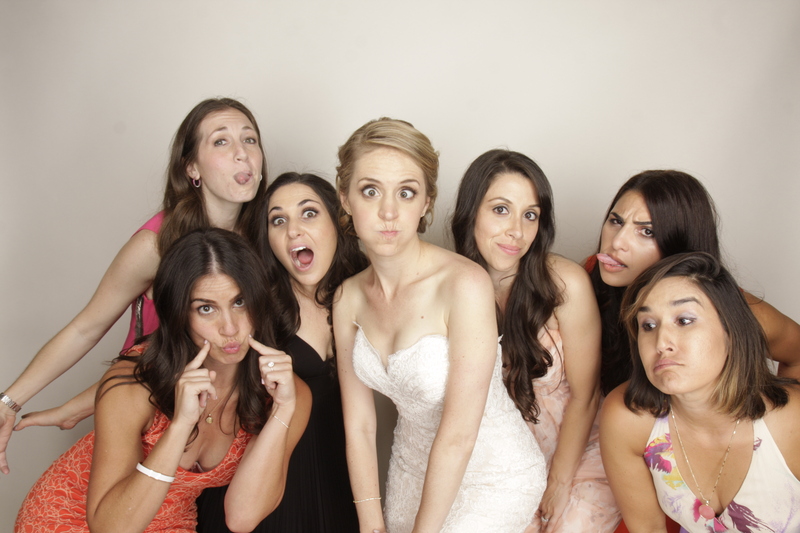 Everyone will want a silly shot with the bride. Put your booth somewhere out of the way and you won’t get many decent photos. We’ve found close to the dance floor with enough room for guests to get in and out is the best place for maximum exposure. Close to the bar is also a good place. Friend’s can hold each others place in line to hop into the booth for a few pics. The key is you want to booth where the action is. 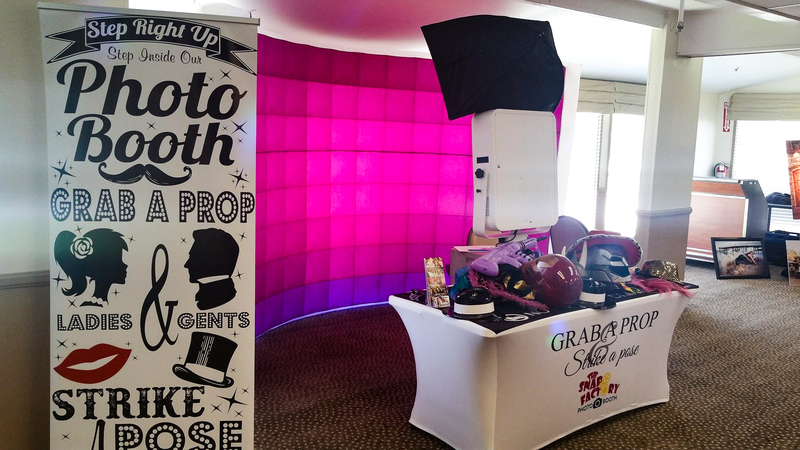 Having a photo booth in another room or away from the guests means that few people will make the journey to it. Keep the booth front and center. You need the right props to spark people’s imaginations. You have a wedding photographer for all the serious shots, so go a bit wild in your booth… custom speech bubbles are cool and chalk board signs allow your guests to get creative. A pro tip is to have your guests select several options before their booth session, and place them on the floor. This way a change of a hat or the addition of glasses is at the ready when the next shot fires. It’s your wedding so everything should be just the way you like it. This defiantly includes your prints. Have you print out say what you want, look how you want and have the colors and theme that you want. It’s your day and these are your keepsakes. You will be sharing these prints all night so make them yours and enjoying them the rest of your life, so make them yours. A scrapbook for friends and family to stick their photos in and write messages in is a great addition to your photo booth. You have unlimited prints so why not get a great place to put them? 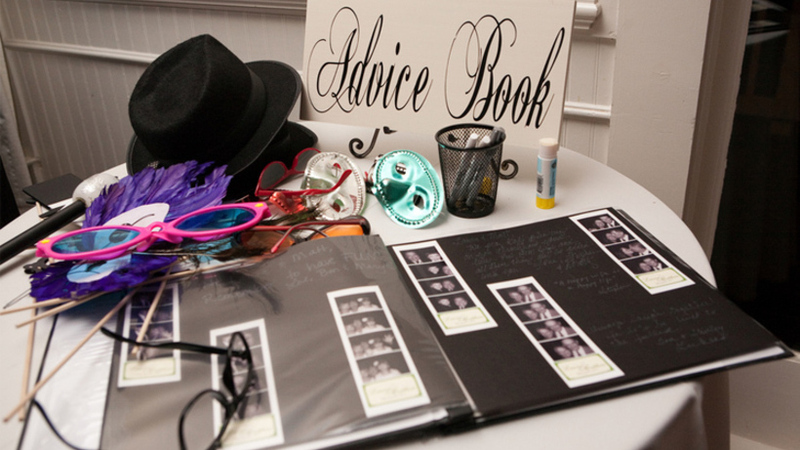 The scrapbook is also a great opportunity for your family an friends to write a special message to the bride and groom. Have your guest fill the book with wacky memories. Something to show the grandkids! Our backdrops are big, bold and fun! We’ve created a range of backdrops that will look amazing at any party. Choose the best backdrop that works with your reception theme and fits with your template design. You can also get creative and design your own backdrop. We wont’ stand in the way of creativity. And don’t stop there. What about the venue? Sometimes the venue has a beautiful garden, an incredible view or a interesting scene that you might want in your photos. Don’t just get prints! 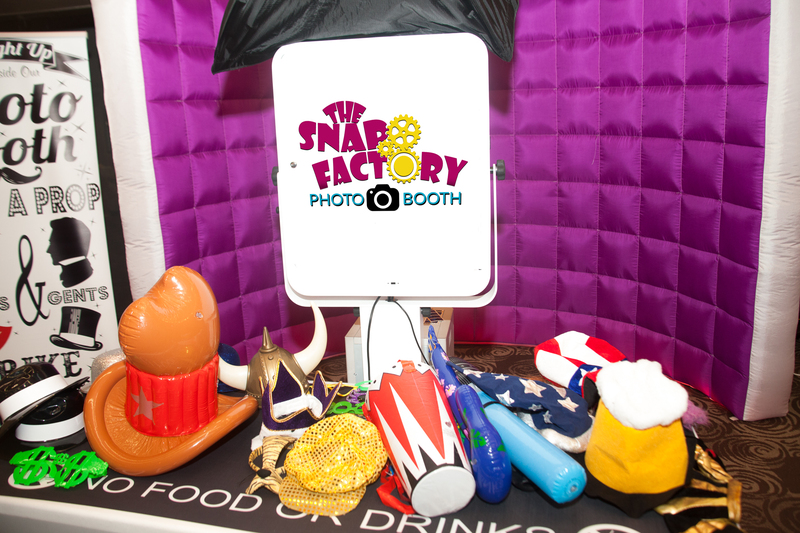 The Snap Factory has many options to make your experience unique. Take the shots and create a fun animated GIF. Type on the picture to create a Meme. Play with fun filters to make your photos unique. The best thing is, you can still get your print when you text or email your GiF. Share with friends who couldn’t make it. Though we are sure everyone wants to be at your wedding we know that some folks, for what ever reason, cant make it. 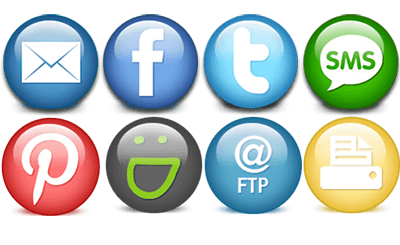 Don’t worry, you can share your photos via Text, Email, Facebook and twitter. You can send the photos to those who couldn’t make it so that they can share in on the fun. 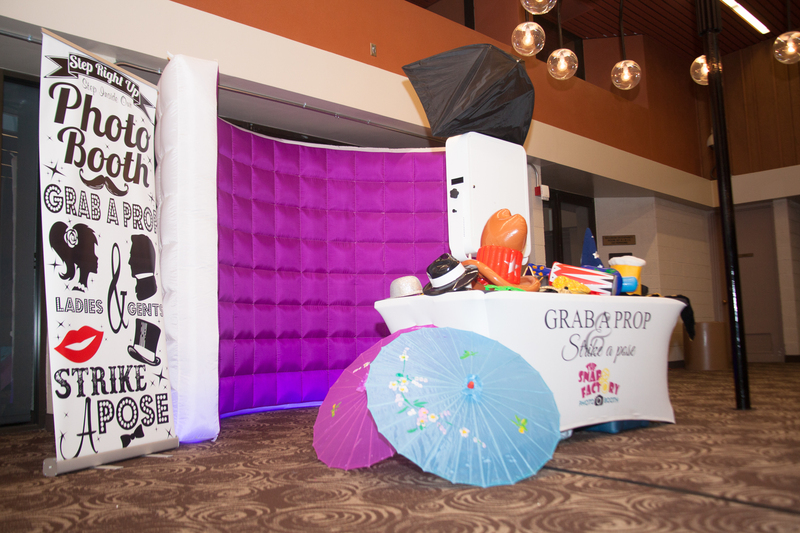 Sharing the photo also includes a discount on a photo booth rental from The Snap Factory. You get every photo we took! 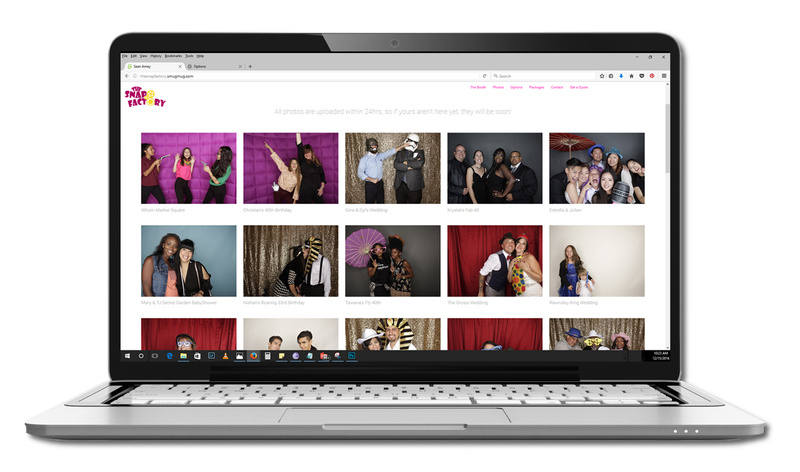 After your big day all of your photos will be uploaded to your very own gallery. You will get a email along with a thank you. The gallery will not only have the print design available to download but the individual shots as well.